Looking for the Resident Evil 2 grenade launcher or shotgun? 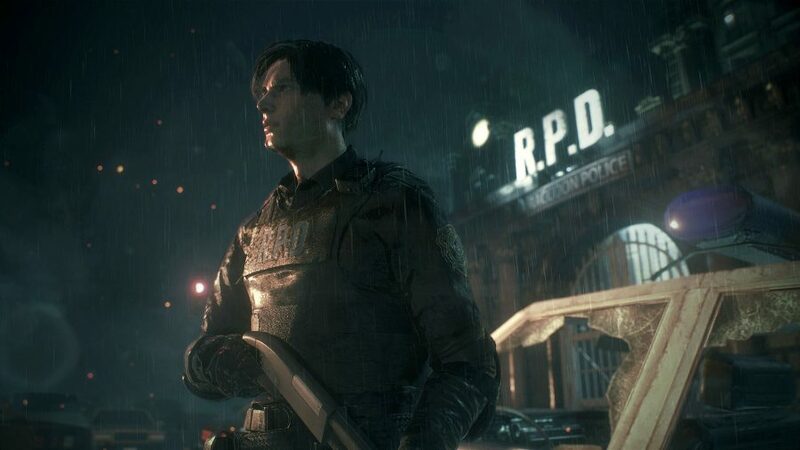 You may have had no problem getting hold of these weapons during the One-Shot demo for Resident Evil 2 Remake, but Capcom have shifted things around for the full release so you’ll need to follow a new set of steps in order to unlock either of these high-damage weapons. It’s important to note that these weapons are character specific: only Claire can find and equip the grenade launcher, while the shotgun is Leon’s. We should also point that this guide applies to both the first and second playthrough of Resident Evil 2, as there are a few differing steps on your second venture through Raccoon Police Station. Chances are you’ve already stumbled upon these weapons during your time in the besieged police station, but they’re locked away behind an annoying grate in the Safety Deposit Room, which you’ll find on the ground floor of the station’s west side. 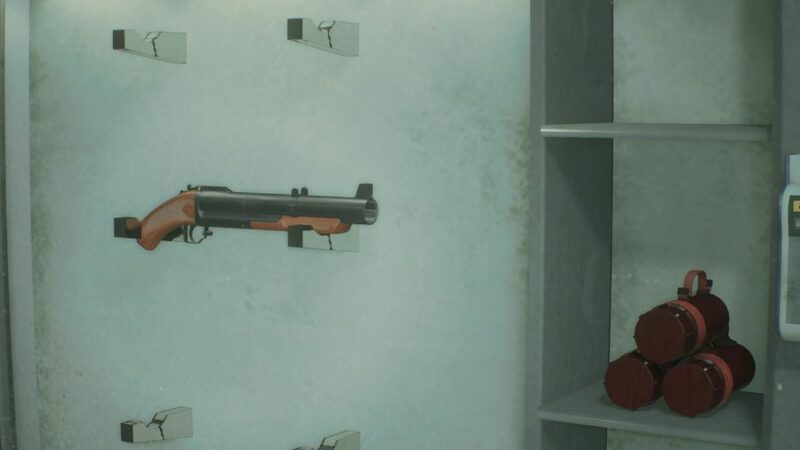 Look in the lockers at the back of the room and you’ll spy either the shotgun during Leon’s playthrough, or the grenade launcher during Claire’s run. Both of these weapons act as a means to deal with the more nefarious enemies in the Resident Evil 2 Remake. Using a pistol to deal with a Licker is an arduous process, whereas a couple of slugs or acid rounds make short work of the wall-climbing monsters. In both cases, you need to head over to the Art Room on the east side of the building, on the first floor. Once you’ve made it there, open the door and check the desk right in front of you to find the Weapons Locker Key Card. Simply head back towards the east side of the building, enter the Safety Deposit Room, and use the Weapons Locker Key Card with the locker containing the grenade launcher or shotgun. In the Second Run scenarios in Raccoon Police Station, you can actually pick up both of these weapons up much quicker than in the normal route – you’ll need them sooner due to the increased number of enemies. Due to the fact that you spawn outside of the police station this time around and enter via the courtyard, all you have to do is go up the stairs and avoid the flaming zombies suffering from the helicopter crash. Round the corner, head into the Art Room and pick up the Weapons Locker Key Card, being careful to not get hurt by the Licker that’s present this time around. Then proceed as normal through the station until you reach the west side ground floor and the Safety Deposit Room. Unlock the grate again and you should have the shotgun or grenade launcher before you even pick up your first medallion. 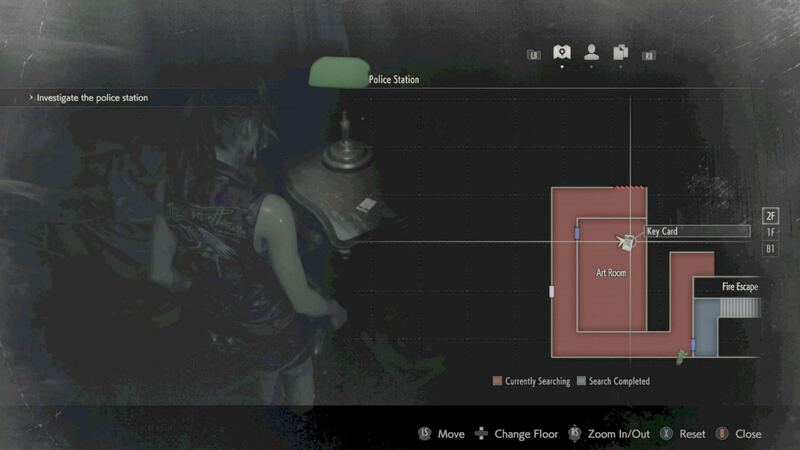 There you have it, how to unlock the shotgun and grenade launcher in Resident Evil 2 Remake. There’s more from us when it comes to Capcom’s zombie game, of course, so be sure to check out our guides on how to unlock all the Resident Evil 2 safe combinations and locker codes, just in case they’re giving you trouble. For now, we hope you have better luck with those zombie rotters from now on.